Me and my friends were walking along Ramon Magsaysay Street (Uyanguren) in the city of Davao at around 9:00pm to look for an ATM when we passed by a colorful and inviting place. 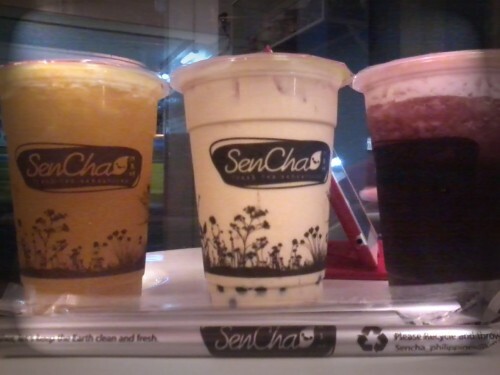 It seemed to be a newly opened beverage station that offers various kinds of tea named SenCha Fresh Tea Sensations. 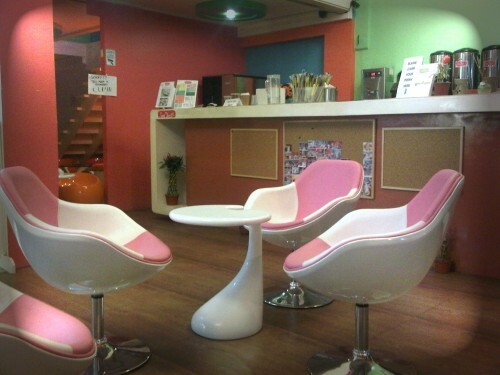 Due to its cozy and relaxing ambiance, we decided to get inside and try their drinks. Since I’m a self-proclaimed milk tea addict, I’m very excited to try their signature milk tea named SenCha Signature. When it comes to price, admittedly, theirs is a lot cheaper compared to other tea shops in the city. In fact I only paid P75.00 for the grande size. My other two friends ordered from their Nature Tea list and had Bits of Wisdom and Bits of Passion. 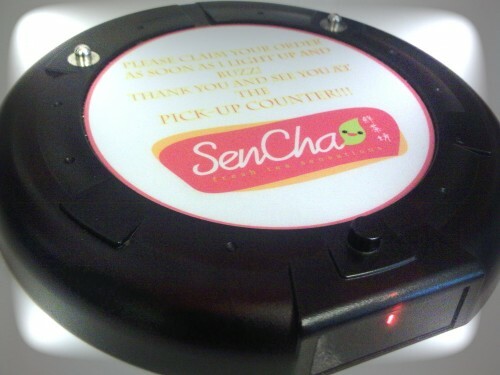 We were also amazed with this amazing round gadget that they give to their customers that vibrates and lights whenever the order is ready. Honestly, it’s my first time to encounter such thing and I find it cool. Ambiance wise, the place is great. When it comes to their drinks, they are also great. However, there is this one negative thing that made me place such title for this post. I used the word “PaSenCha” referring to the Filipino term “Pasensya” which means patience. It’s not that your order takes a lot of time to be served but it’s how their crew treated us. The ladies in their counter seemed to be not well versed with what they’re selling. When one of my friends asked for the price, she said the prices are listed in the menu. Well, she’s somehow right though as prices are indeed listed in the menu but I don’t think you would answer your customers that way. She should have asked for the size and looked at the menu and tell it to the customer. Then after few minutes, my friend returned to the counter and asked for the password of their wifi connection and once again the lady in the counter told her that it can be found in the menu and told my friend to check it herself. Isn’t that rude? Well, I find it rude. Lastly, the way they informed us that they’re closing is clearly foul for me. She went to our table and sarcastically said that they are already closing. We barely consumed our drinks and the time is still 10:00 PM which is an hour advance to their closing time indicated in their front door. She could have given us few minutes to finish our drinks or better yet informed us ahead of time that they are closing early so that we can have our orders for take out instead. I tried to keep my temper and it took lot of “PaSenCha” (patience) to do it. Maybe the management can check on these things and somehow train their personnel to have a little bit of etiquette in the way they treat their customers because aside from the cozy ambiance and tasty products, the personality of the crew in a certain food establishment really matters. This entry was posted by Nice Urdaneta, who has written 12 posts as nice, on Tuesday, March 27th, 2012 at 2:41 am and was filed under Beverages. hay…nightmare kau ang sencha…i wish ayuson nila ilang serbisyo…unta, itrain pd nila ilang mga service crews kung unsa ng customer service..pastilan!!!! very relaxing talaga ng ambiance dun, sayang nga eh… ala kasi manager that time eh and atat na yata sila mag close. gudmorning po….gusto ko lang po malaman saan po banda yan sa davao?? gusto ko po kasi puntahan… isa lang po ba ang branch nyan s davao? ?